Just a heads up. We’ve just submitted our newest app to the app store. It is a simple todo list which sounds boring, but wait… This todo list can be themed. There are many themes to choose from and there will be many more in future updates. 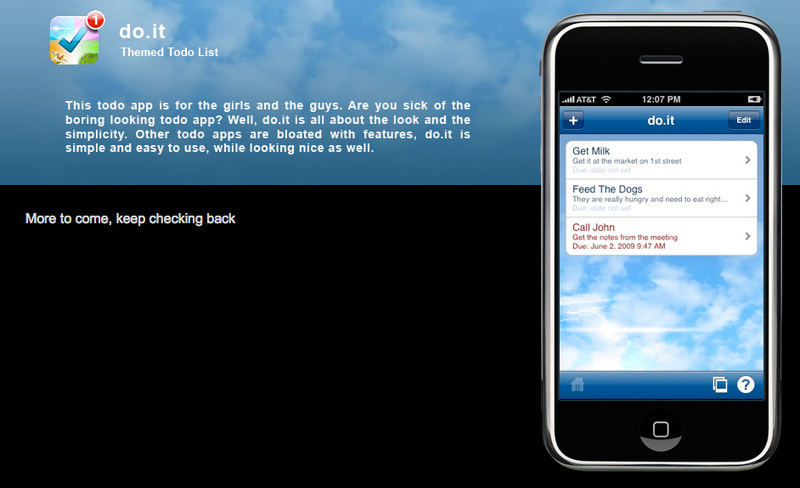 Check the do.it website to view some screenshots. Posted in News, Productivity. Tagged with do.it. Watercule has been released in the app store. In Watercule, you must propel multiple balls up the screen by tapping the lower portion of the screen, which acts as your water pumper. You can maneuver the balls by tilting your device from side to side in order to obtain the most points.